RUSH: Robbie in my adopted hometown of Sacramento, California. You know I was thinking about Sacramento last night, Robbie. I don’t know why, but something about — oh. My brother had mentioned a name of somebody he talked to out there as he’s selling his book, promoting his book out there. I was thinking about how much I owe Sacramento. Thirty years years ago. It just blows my mind. Anyway, welcome. It’s great to have you here on the program. 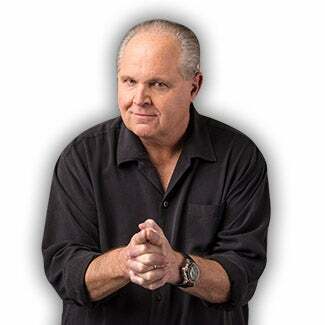 CALLER: Hi, Rush Limbaugh. It’s another sunny day here in Sacramento, sunny and windy and allergies. RUSH: You’re sounding a little bit too optimistic. You must be watching Fox & Friends. CALLER: No. So, okay, there’s several things that I love about you, Rush. But the one that encourages me and inspires me the most is that you are an overcomer. May I take a moment to explain how I have arrived at this conclusion about you? CALLER: Thank you. It will help me build to my question. So you have overcome poverty. You know what it’s like to make $19,000 a year and probably less than that, and now you can spend $19,000 at the snap of fingers. You know what it’s like to drive an old jalopy of a car, and now you carry around hundred-dollar bills to tip the valets. You’ve overcome career lows. You know what it’s like to be fired, and now you make a fine living doing what you love every day. You’ve overcome disability. You have a hearing disability and you’re the king of radio. You’ve overcome the misconceptions and the misunderstandings of your intellectual father. Your intellect didn’t respond to the confines of the American academic structure, and now you write history books, and you’re America’s teacher. 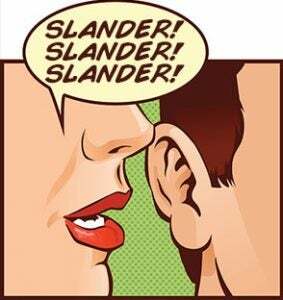 And last, you daily, for decades now, overcome slander and lying and deliberate misrepresentation. And President Trump might be the only other person I see subjected to, at the same level that you are, and you both overcome it with grace. So, my question, since you understand Trump so well, and since you are yourself, I wanted to ask your advice for those of us in your audience who are subjected to slander and lying and misrepresentation and false narratives the more and more that we stand up for what is true and what is right. RUSH: You want to know how to deal with it? Is that the question? CALLER: Yeah. I want your advice. How do you overcome it with such grace, and what advice do you have for us who, at a different level, are still subjected to it? RUSH: Okay, first off. Let me ask you a question. Would you like to write my biography? CALLER: Sure. Let’s do it! RUSH: I’m blown away by your — that was just one nice thing after another, and I can’t tell you how much I appreciate that. That denotes an awareness on your part. You’re extremely aware. You’ve noticed things and you remember them. You should have seen my face as you’re going through this and everybody else’s. They were applauding you on the other side of the glass. CALLER: Awww. Well, I’ve been listening to what you say for a very long time. RUSH: Well, it’s obvious that you have. It kind of floors me, because I never hear anything like what you just said. I never, ever hear it, so it’s a combination of appreciation and a little embarrassment. I don’t quite know how to react to it other than to say thank you and to applaud your perception, ’cause you’re right about practically all of it. Now, overcoming this or how to deal with what you call the defamation or the slander, I have an advantage, I’ll have to tell you, and the advantage is this microphone and this show. And for all of the times, all the instances where I am lied about or misrepresented or whatever the other things are that you said, I can come here every day and disprove it on a mass basis to the people who matter, and that is the people like you, people in the audience. Outside of the audience, I mean, there’s not much I can do to change what those people think, but I do have an opportunity to counter all that just by being myself. I get the chance to demonstrate how those allegations, the defamation, the slander as you call it, isn’t true by simply coming here. That’s something you don’t have. What kind of defamation, slander are you talking about? By association, by being, say, a Trump supporter you go out to a Trump rally or any kind of a rally and the opponents come up and they start calling you names. Or, you get associated with Trump and you’re nameless but they still accuse you of being all these reprobate things he is? Are you wondering how to deal with that, too, you mean? CALLER: No. I mean, Trump factors into it a little bit, but it’s been going on for a long time just because I am a truth lover and I stand up for the truth. RUSH: And a conservative. As a conservative, you’re institutionally attacked. CALLER: — to basically say this person’s crazy. RUSH: Look, I’ve gotta take a break here. Can you hold on during the break? RUSH: Because I’m not quite sure yet what you’re looking for and I want to find out ’cause I think I’ve got an answer for you. RUSH: We are back with Robbie in Sacramento who we interrupted here by the necessity of a commercial break. You’ll have to excuse my asking this over and over again. It’s my hearing. I want to make sure what you’re asking me before I go into an answer that’s maybe off tangent. Explain to me exactly what it is that you are asking me for advice on, if that’s what it is or suggestions or what have you. ‘Cause what I gather is that you are suffering defamation, slander, unreal lying, mean-spirited criticism in your family and other places, and you’re wondering what’s the best way to deal with it, how to survive it, how to counter it, how to overcome it, how to destroy people doing it? What is it that you want to know? CALLER: No, I think a lot of us experience this, I guess we could call it suffering, this type of suffering when we stand up for truth and when we stand up for what’s right. And often what happens with the people that disagree with us is they just immediately come on the attack. CALLER: — things about you, if they have to lie about you, make up a false narrative. Like at work some of the women don’t like that I’m successful at some of the work I do, so they just make up a false narrative, “She’s incompetent.” It’s not true, I know it’s not true, but how do you respond, how do you overcome that with grace? Do you just like totally put the blinders on, block it out, don’t pay attention? RUSH: That’s what I do. So I would run around asking people, “How do you deal with this?” And every person I asked had a different theory, which told me there’s no universal answer to this. The most common answer I got that made sense was to ignore it, because the minute you react to it — and this is something I strongly disagree with President Trump on. I think he elevates the criticism he gets and I think he expands it and extends it by responding to it. I’ve always tried to, in my own mind, be bigger than the critics or the criticism. I’ve tried to look at responding to them as the equivalent of punching down, which is something you never do. You never waste time on people beneath you. You never give them the time of day, what they say, what they think, who they are. If they’re coming after you and they’re gnats, if they’re, you know, just vermin running around behind the wall, just ignore them. Responding to it I have found never is as effective as ignoring it. There are exceptions to that. It’s seductive. Responding to it, nuking ’em, destroying ’em, in my case it’s never worked. It has always prolonged it. What you’re talking about also is a healthy mental attitude in the face of all this. I mean, for six months — this was during a presidential or maybe a Senate, it was an election year, a big election year. And I was being used in campaign ads against a Republican candidate in the Senate. I was being lied about, tarred and feathered, and there were all kinds of efforts being made to get me off the air. You know what gets me through that? RUSH: One thing. One thing only. And that is the full-fledged trust that all 22 million people in this audience know it’s bogus. That all 22 million people in this audience knew what was happening. That none of them were gonna abandon me and, in fact, had my back and were never gonna go away, were never gonna fall for it, and they didn’t. Now, unless you got a radio show like this, you can’t have that kind of imaginary support, but you do have people you know, and you do have people you love, and you do have people that care about you. And if you have total trust that they’ve got your back when you’re being maligned, when you’re being impugned, that should count for a lot in terms of your mental health. We human beings, all of us, are programmed early on to be concerned, and some people are even worse than that, about what other people think of us. And the simple fact is, you can’t change what people who do not know you think about you. All you can do is take solace in the fact the people who do know you and the people you do love are not gonna fall for these attempts to impugn or destroy or whatever. So you’re gonna have your own support group, whatever size it is, plus your own self-confidence that you are being true to what you believe in and true to the people you love, and that is probably the best thing that could sustain you. RUSH: You do. You have to trust them. You have to have confidence in them. And I tell you, I do. Whenever anything like that Michael J. Fox thing, any one, it doesn’t matter. I have never quaked in fear here over any of these controversial things I’ve been — why do you think — you probably know. You’re shrewd. Why do you think I know full well that Donald Trump’s audience, his voters, will never abandon him because of things other people say? Why do you think I know that the only way Trump can lose his voters is if he does something? The media cannot destroy him. They cannot destroy him with his base. The media cannot destroy the connection Trump supporters and voters have with him. Only Trump can do that. RUSH: Exactly. Exactly. Despite everything — and I look at it, despite everything I’ve put this audience through, they’re there, and it’s a larger number today than it’s ever been. I have every reason in the world to trust the intelligence and awareness of people in this audience. They know when things about me being said are not true. They know when they are true. They know, and they’re not affected by it. They don’t split. They don’t leave. I’ve got 29 years of evidence of this. I can’t tell you how sustaining that is. That’s why I try to express my gratitude for the people in this audience as often as I do. CALLER: Well, it’s certainly true of me. And clearly it’s true of millions and millions of others. 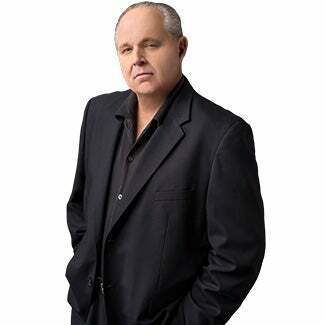 RUSH: Well, thank you, but you can make it true for yourself, too, if you’re in a similar circumstance. ‘Cause what you’re talking about is people lying about you. They’re attacking you simply because you’re standing for the truth. They don’t want to hear it, whatever it makes them fear, and they’re trying to damage you, and they’re trying to do some kind of damage to you. And you have your own ability to withstand it with whatever group of people in your life you know know you and trust you and are able to learn very quickly when this criticism is bogus or when it’s accurate. But they’re not going to abandon you because of it. And that is sustaining. It’s comforting, and it can promote confidence as well. Where people get into trouble, Robbie, is when they start paying more attention and being more concerned about what the people they don’t know think of ’em. That’s a recipe for disaster. That’s the first step toward somebody losing their identity. Basically what I’ve learned, the greatest bit of advice that I would ever give people or be able to give is if I could convince everybody I met to not care what they say about you. Well, to not be destroyed by it, because it changes the definition of who you are. They’re trying to make other people think positively of them. Everybody’s doing the same thing in a giant circle. And you’ll note the people who really succeed and stand out and go great guns are those who don’t care what the people they don’t know think about them. There are exceptions to this, of course, depending on what your business is. Like Michael Jordan, for example, he can’t purposely antagonize Republicans because they buy tennis shoes, so he has to shut up. He’s not out there trying to make everybody love him, but he wants to make sure that he doesn’t turn people off to him needlessly. So there are exceptions to everything that I’m saying here. They’re tailored to each person’s specific life experience. But for mine, for me, it’s been ignore them and don’t care what people think, because they don’t know. And look at what’s happened to me today, Robbie, your call alone, the three to four minutes that you took at the beginning of the call explaining who I am and why you admire me, that will get me through another 10 years because that is evidence that my trust and faith in the audience, and that you know and understand, has been validated. That four minutes is enough to give me confidence to know that I’ve made the right decisions and am doing the right things for who knows how many years. I mean, I can’t tell you how valuable that really is.